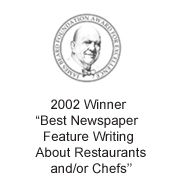 I have “The French Laundry Cookbook,” the “Bouchon Cookbook,” and the “Under Pressure” sous vide tome, all by Thomas Keller. These oversized, coffee-table books reside in a prominent place on my bookshelf. 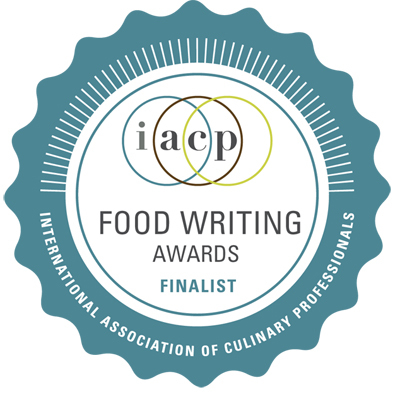 I have leafed through them all, savoring the recipes, and lusting after each and every magnificent dish photographed so dreamily. But I’ve yet to cook from any of them. Maybe I’ve felt unworthy. Maybe I’ve lacked the equipment necessary. And maybe I’ve lacked the time for some of the rather involved dishes that my husband joked he’d have to take days off from work to help me pull off. Until a promo brochure for the upcoming “Ad Hoc At Home” (Artisan) book arrived in my mail, and I fairly ran to the kitchen to start pulling measuring spoons and bowls out of my cabinets. 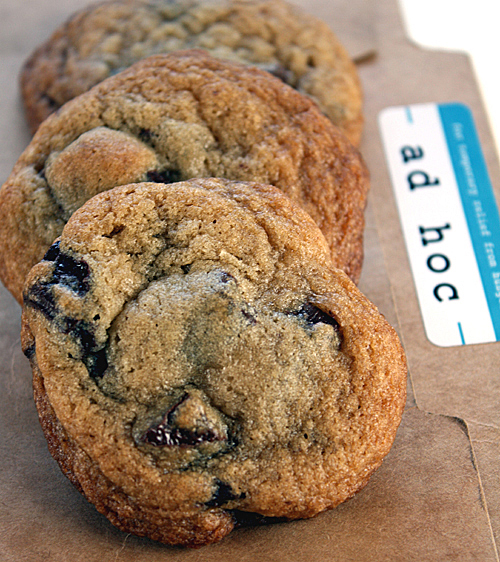 I’ve had the pleasure of eating at Ad Hoc in Yountville a couple of times. I’ve always been won over by the impeccable quality of the seasonal, family-style food served at this casual eatery. It’s comfort food done with utmost fun and finesse. Salmon tartare cornets I’ll leave to the French Laundry staff to construct. A Bouchon recipe for French onion soup that requires a half day to caramelize onions ever so slowly (I’m exaggerating, but not by much) makes my eyes glaze over. Sous vide anything makes me start to tremble. But chocolate chip cookies? OK, this I can do. Keller acknowledges his other books might be intimidating to most of us. He goes so far as to refer to the new Ad Hoc book as “the long-awaited cookbook for the home chef.” It’s described as uncomplicated, the way Keller cooks at home — without intricate garnishes or an immersion circulator. Though, knowing him, I’m sure he cooks in the world’s most organized, uncluttered home kitchen around, with everything labeled and alphabetized, and every electrical cord neatly wound just so. He can’t help himself. The book won’t be available until November. But the promo materials give a hint at the very doable, very delectable dishes in store: leek bread pudding, blow-torch prime rib roast, caramelized sea scallops, and pineapple upside-down cake. Being the cookie fiend that I am, though, it was the recipe included in full for chocolate chip cookies that got me pumped up. 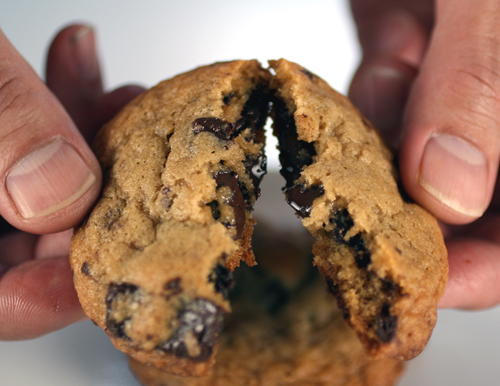 With so many chocolate chip cookie recipes already out there, how could this one be any different? You start with butter that’s cold, not softened at room temperature. You beat in said butter half at a time. Two specific types of chocolate are used: 55 percent, and 70 to 72 percent. You chop the chocolate, then sift it to remove tiny fragments so that the cookies bake up with a neater appearance. Sweetness is provided mostly by dark brown sugar, not light. There is no vanilla extract added. And if you prefer softer-textured cookies, you don’t underbake them. Instead, you mist them with water before baking. 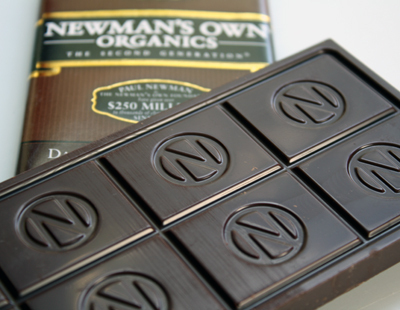 I opted to use the new Newman’s Own Organics 70 percent and 54 percent (the closest I had to 55 percent) dark chocolates because I had just received samples in the mail. They worked mighty fine, too. The dough comes together easily in a mixer bowl. Then, you form it into balls that go onto baking pans. I baked half of the cookies as is, and half misted with water. They emerged plump and golden brown from the oven. Maybe it’s because there is no vanilla extract to temper or mask anything, but this cookie really lets the chocolate shine. Take a bite, and what you notice most is the purity of the bittersweet, dark chocolate flavor that comes through. Even with 1 3/4 cups total of sugar, it’s not a sweet-tasting cookie by any means, especially if you’re used to the kid-friendly Toll House version. The edges and tops are crispy, and the interior chewy. And if you use the misting technique, you do end up with cookies that are less crisp on top, and more cakey soft instead. The cookbook may be five months away from being available in stores. But you can enjoy a most sweet preview by baking these cookies now. Yes, it’s a recipe by one of the world’s greatest chefs of all time. But happily, it’s one that’s infinitely doable by any and all. 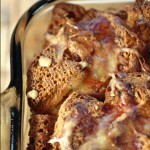 Note: If your brown sugar has hardened, soften it in the microwave for 15 to 30 seconds. These cookies turned out great tasting, but much thinner than the image. Any suggestion on how to thicken them? Thanks for the tip about freezing them a little before baking to keep them thick. I found that worked for other thin-baking cookies. –Mine came out very flat. With the second batch, I made sure the dough was much cooler before I popped them in the oven, but they still flattened out to 1/4 inch thick. –They taste great, but too buttery. I may include vanilla in the wet ingredients next time. Otherwise, this is the best homemade recipe I have come across, and I definitely intend on trying it again. Thanks for providing it! Crystal: Did you refrigerate the dough overnight? I find that helps in creating a heftier cookie. Still, this is not one of those really, really thick cookies to begin with — like some of those found at other bakeries or in the malls.It’s definitely thinner than that. Thanks for the post and great pictures. 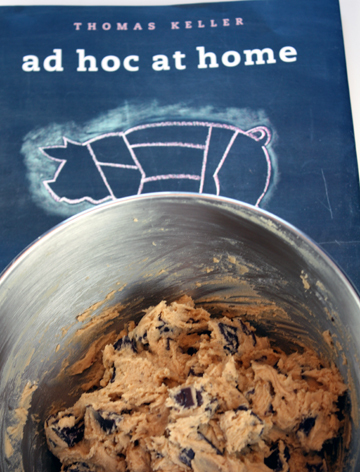 This is the cookie recipe that is next on my list to try. 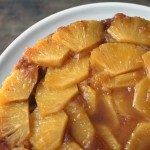 I have tested over a dozen recipes so far, see results on http://www.TheGrinningGourmet.com if you’re interested. I have tasted good chocolate chip cookies (toll house); really good chocolate chip cookies (sherry yard). And each new recipe I try, they are never a lot better or a lot worse than the others until now. THESE COOKIES ROCK. I always try to follow the recipe EXACT the first time (b/c i hate reading that a recipe did not work out b/c some idiot made fifty million changes) and only used milk chocolate (sorry, i love guittard large milk chocolate chips in cookies). I AM IN LOVE! I need an excuse to make these again … like because today is not friday). aww…is that your ad hoc recipe folder? I was wondering- do these cookies stay soft initially and then harden or do they actually stay soft the couple days you can keep them after baking? I ask assuming that I will be using the misting trick. It is always terribly disappointing when my cookies don’t stay soft for longer than a couple hours. Melissa: They stay chewy-like soft for a couple of days. They don’t turn like rock-hard crisp. If you like your cookies quite soft, though, then you should use the misting technique. They will be more cake-like then. Hope that helps and hope you enjoy them! So, I looked at the recipe for Choc Chip cookies and went YUM. Then I realized that there is no oven temperature and no baking time. So as far as I’m concerned he did not share a recipe, because if you are making cookies those are as important as the ingredients. Very disappointed. I’m very excited to try this recipe. I just made my favorite recipe I’ve made since I was a teenager and I’m so disappointed they did not turn out. I changed nothing, but they look horrible, the taste is only so so but my heart fell. I am moving on and hope to get my chocolate chip grove back. hi, i’m new to this recipe; i saw a picture of your batch and someone else’s and had to try them! i am now noticing that a lot of pics show the cookies really flat and thin, but not yours. of course mine came out like everyone else’s. 🙁 how did you get yours to be different? did you bake immediately or wait? What is the rationale for twice creaming in of the butter? Does it have to do with not wanting to fully dissolve the sugars or something else? But some measure dark brown as 240g per cup and APF as 130g. Which is more correct for your recipe? Irene: I can’t speak for Chef Keller, so I’m not exactly sure why he tells you to cream the butter in two stages. 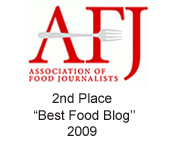 My guess would be it has more to do with getting the butter whipped to the right consistency. As for the weight measurements, the recipe actually only gives the imperial measurements. So, if you prefer to use gram measurements, I’d just go with what you normally do. Hope that helps. Thanks for posting this recipe. Odd that it uses cold butter. I made these using salted butter and 3/8 t. fine salt, 1 c. mini semi-sweet chocolate chips, and 1/2 c. lightly toasted chopped pecans. I used a 1 1/2″ diameter cookie scoop and got 56 cookies. Mine don’t look as good as the photo and these tasted like all the other chocolate chip cookies I’ve made. 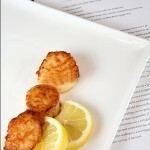 Terri C.: I’ve seen a couple of Thomas Keller’s recipes that call for starting with cold butter. I’m guessing it’s because he believes you can better control the consistency of the butter then. Otherwise, if you leave your butter out to soften at room temperature, its consistency can vary widely depending on how long you leave it out or how warm it is that day. If you start with cold butter, you can whip it to create the consistency you want. That’s my guess. Hope that helps!